One of the most common reasons for not ending a marriage is not wanting to break up the family. Yet, ask people who are post-divorce and they'll tell you with no uncertainty that they are still a family, just a bit different now. This tells us that the sense of family is important to many people and that what family means is fluid. So how do people accept their family is changing? What does family after divorce mean? What can you do to shape the family you have after divorce? 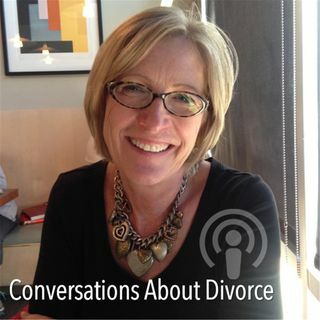 Joining ... See More Mandy for this Conversation is relationship counselor and coach, Wendy Smith Baruc who has worked with couples and families for over thirty yeas. Wendy is the author of Accepting Your blended Family: A Handbook For Life After Divorce. Wendy is offering listeners a complimentary 30-minute consult. Contact Wendy through her website at https://wendysmithbaruc.com/. Get a synopsis of the show at Mandy's blog at https://sincemydivorce.com/wrong-thin-family-divorce .